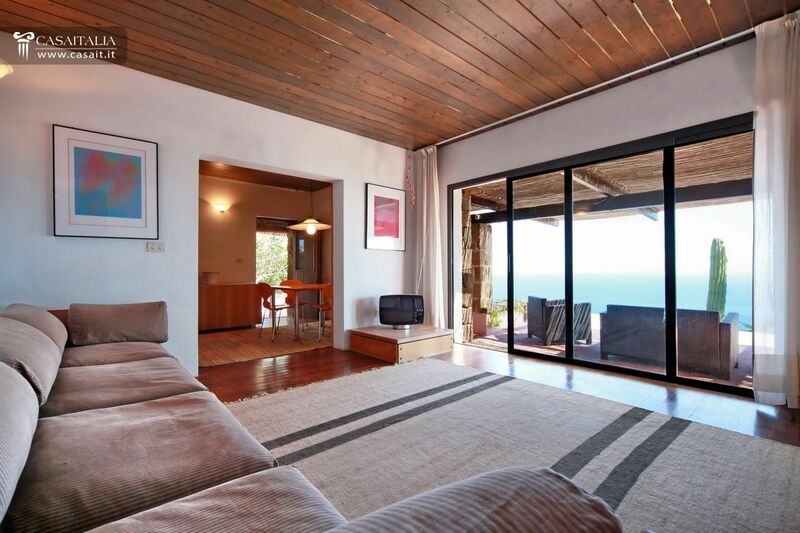 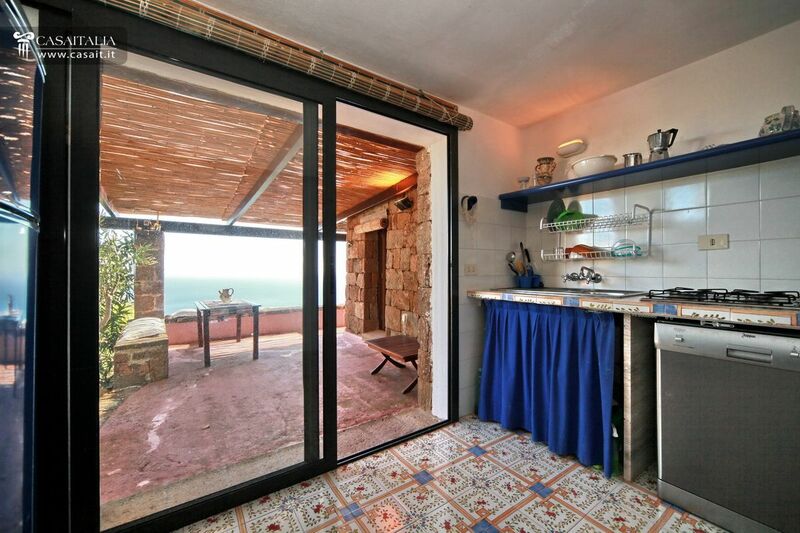 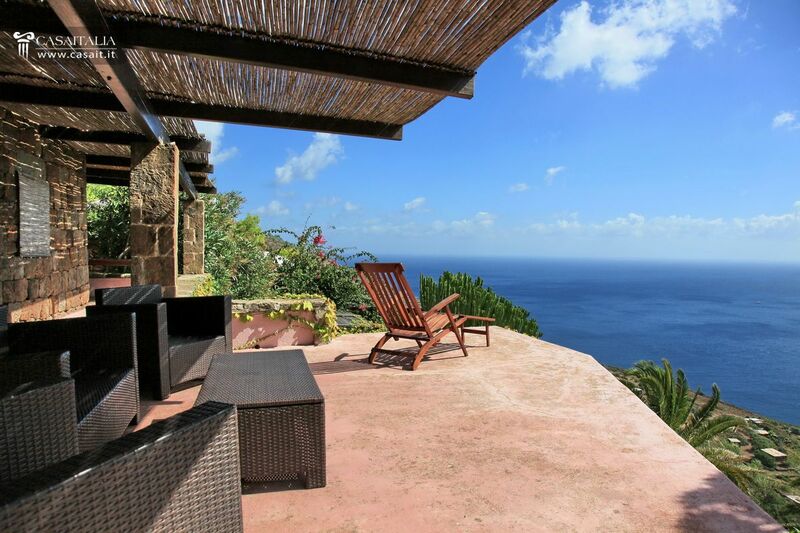 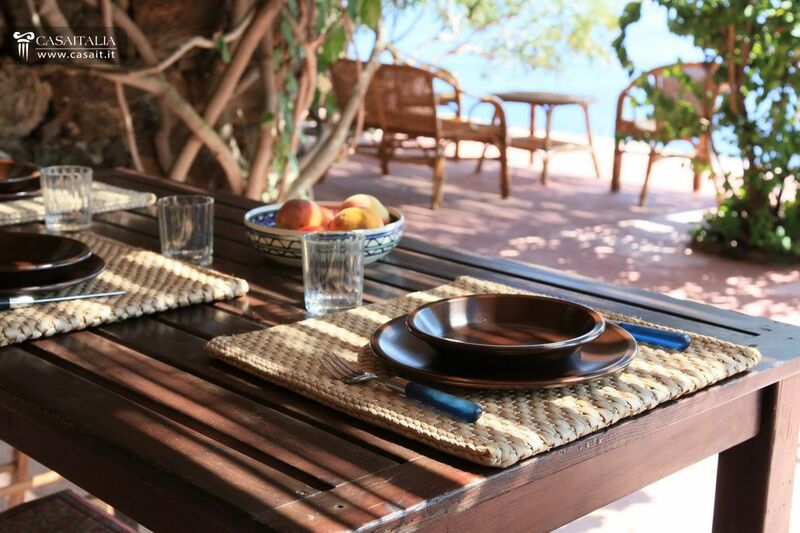 Close to the famous Balata dei Turchi Bay, amazing dammuso-villa with panoramic sea view. 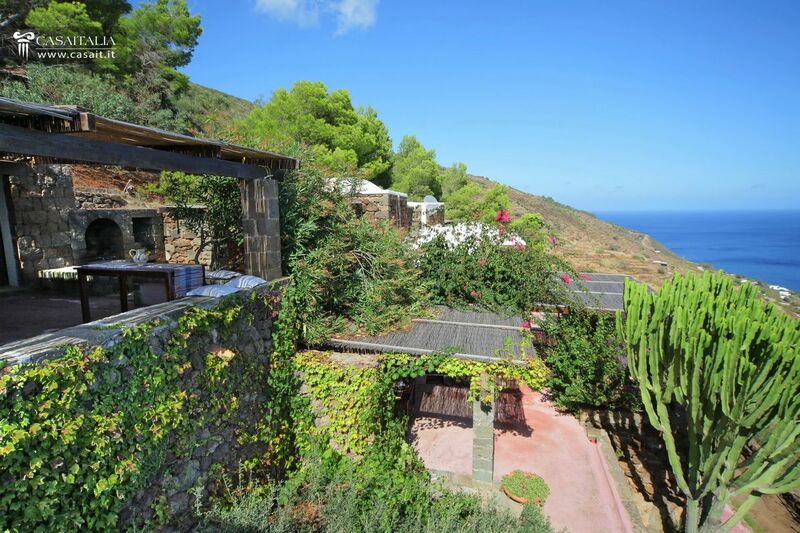 The property includes the main dammuso, two outbuildings for guests and 8,500 sq.m. 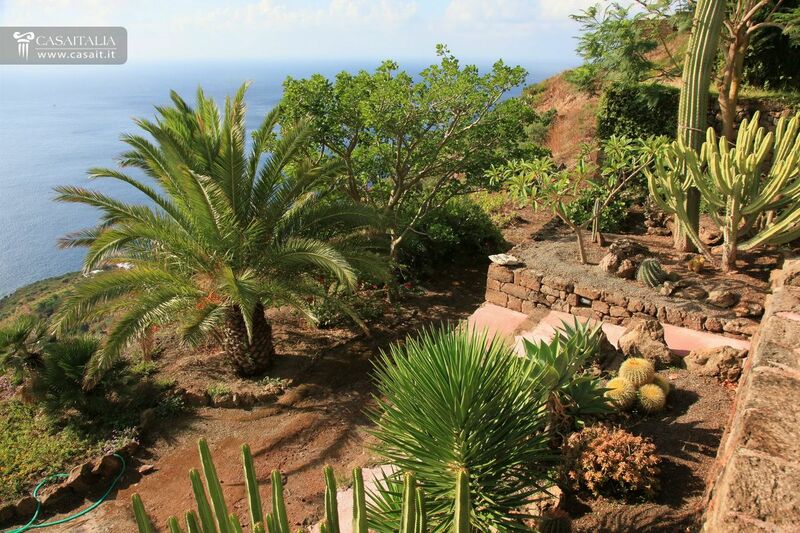 of land with mediterranean garden. 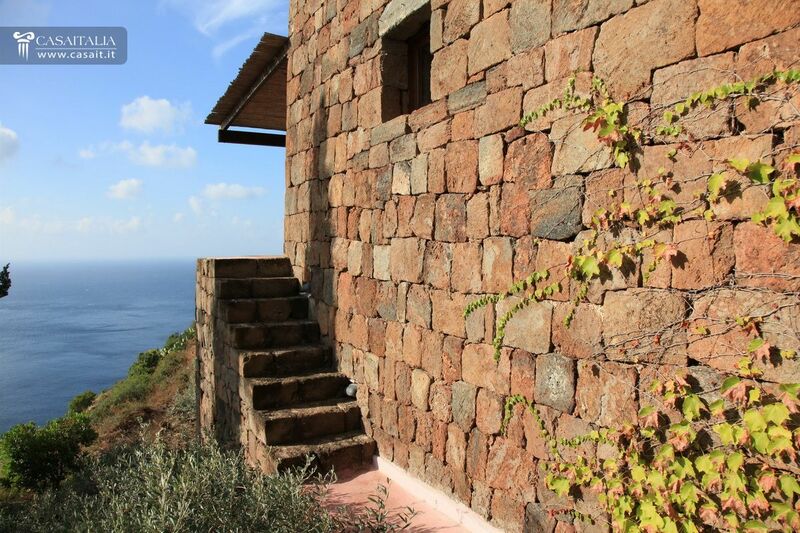 Pantelleria is a charming island with a volcanic origin characerized by a strong and primitive impact. 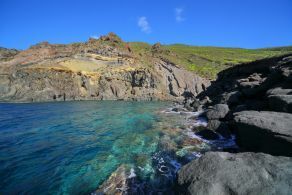 The ancient lava flows and the craters, now mostly turned into vineyards, can be easily recognized in the orographic setting. 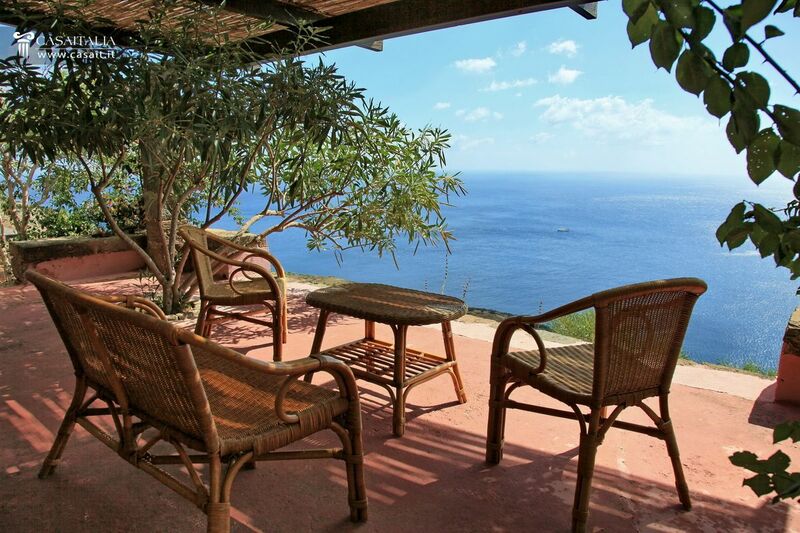 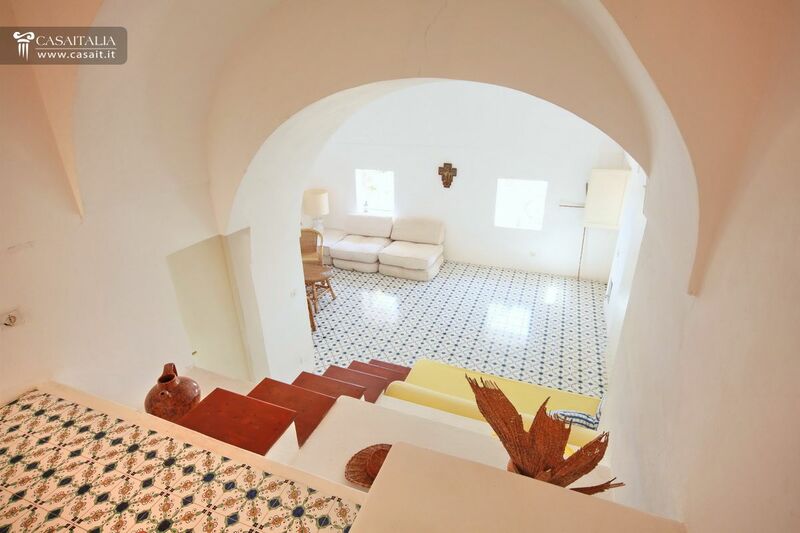 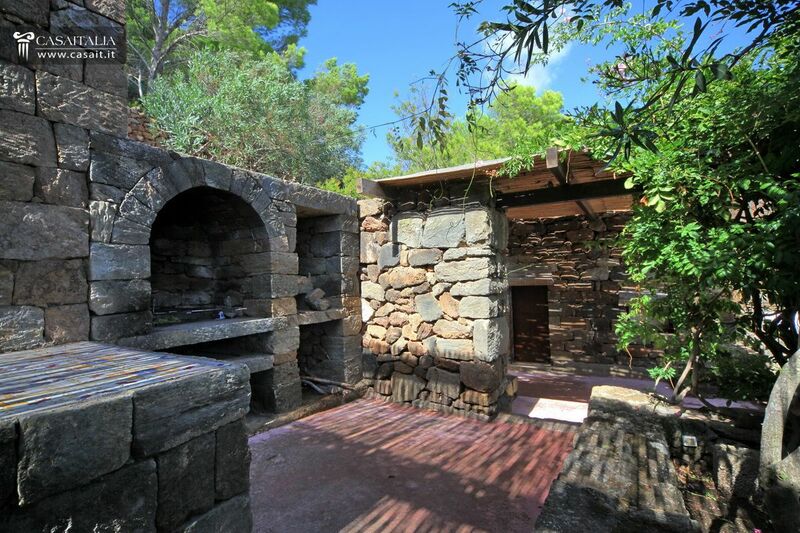 The property is located in the vicinity of Balata dei Turchi, one of the most impressive And unspoilt of the island. The closest villages are Tracino and Scauri,, reachable in a few minute drive, while the small town of Pantelleria and its airport are just 30 minutes drive. 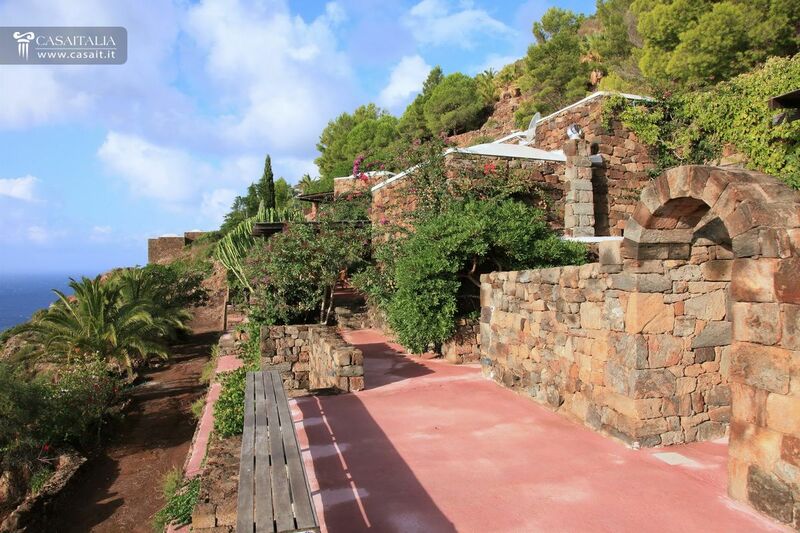 The property is also close to the main facilities (restaurants, bars and food shops). 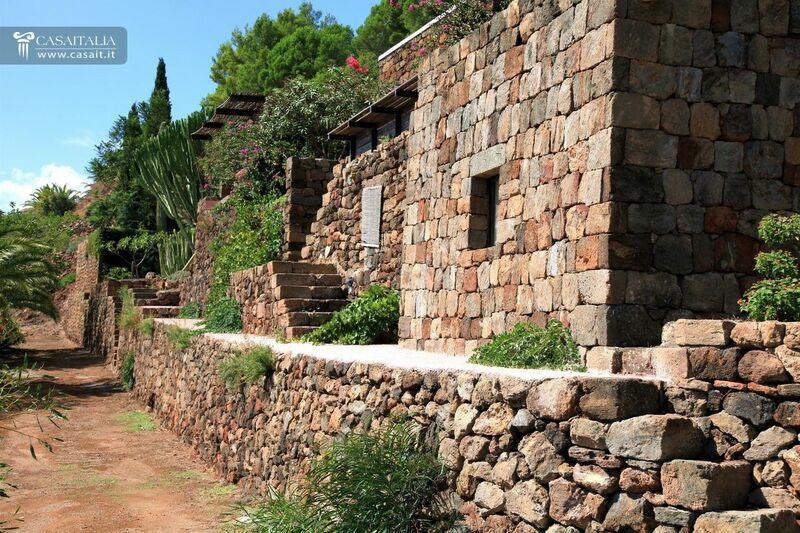 The complex consists of a several stone Dammusos connected by terraces, patios and hanging gardens overlooking the sea. 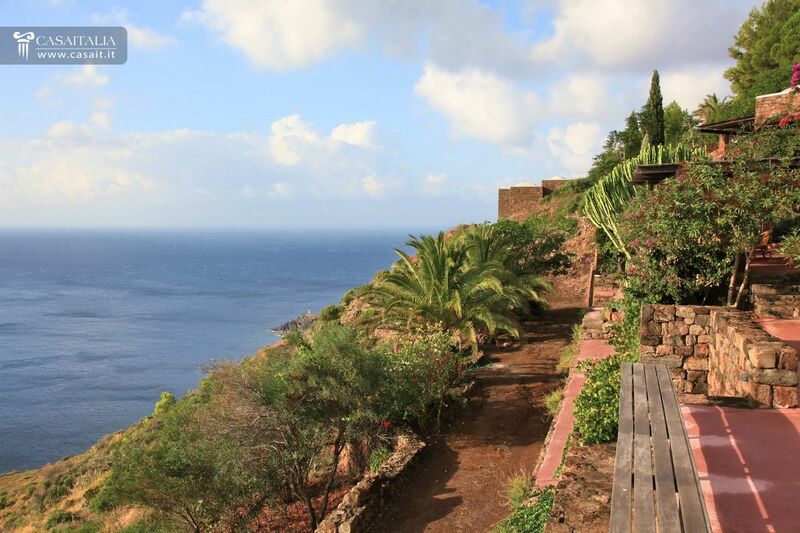 The breathtaking view stretches from to sea to the nearby Africa beyond the horizon. 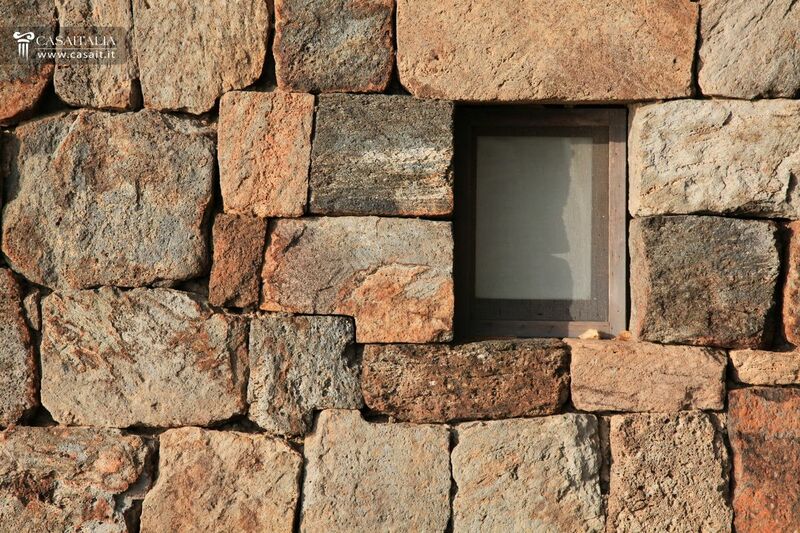 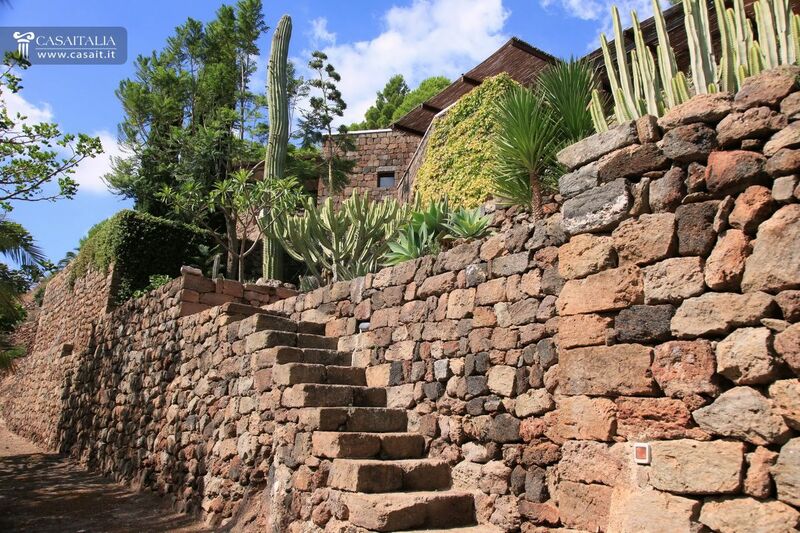 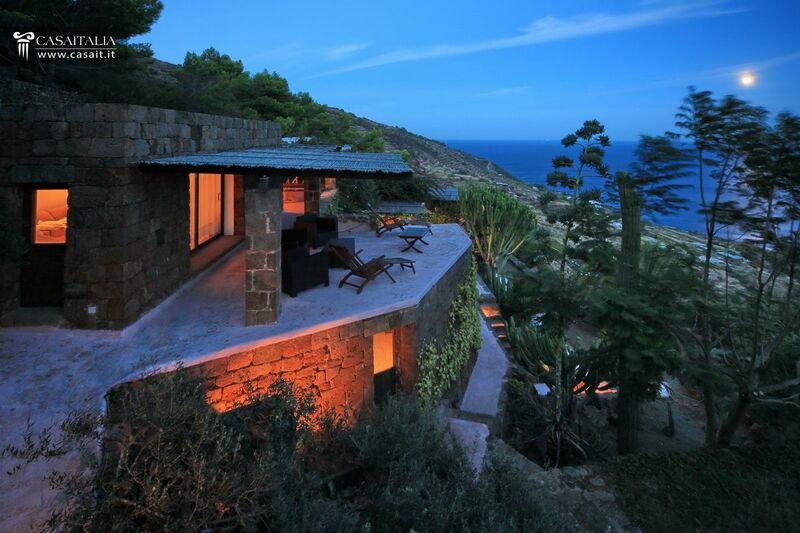 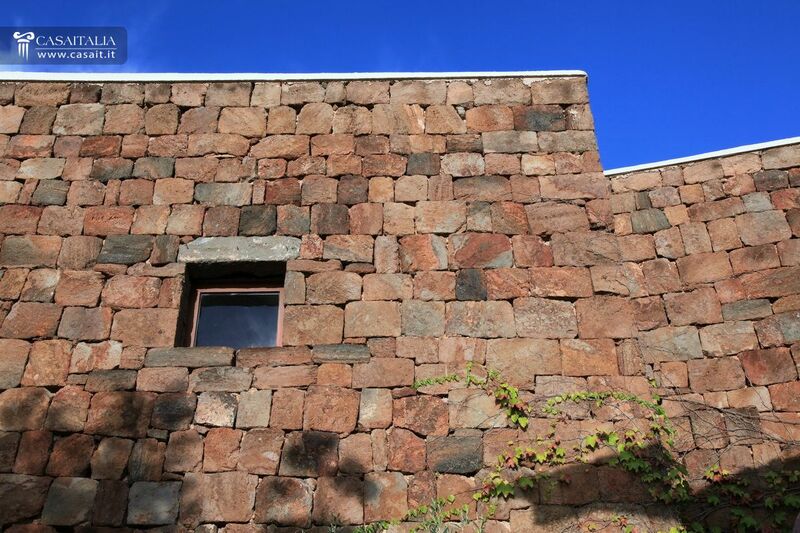 The property features exteriors made of characteristic hand-squared dry-stone blocks and plain and functional interiors. 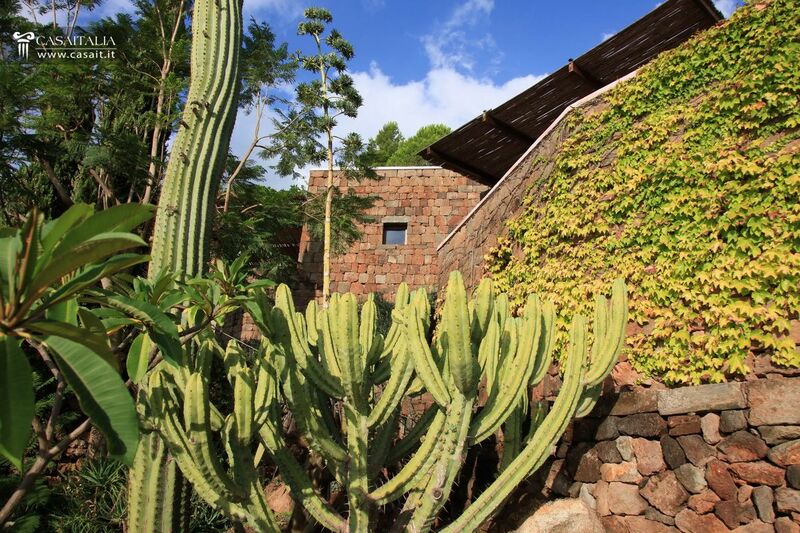 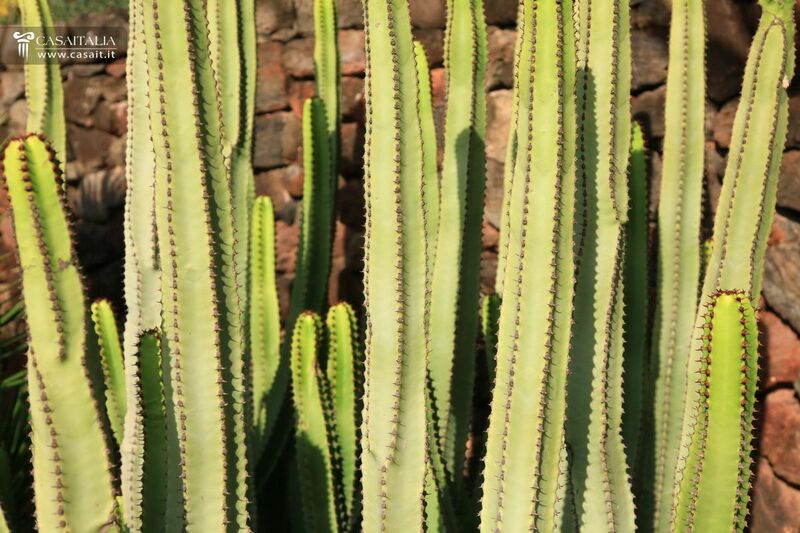 The Dammusos are embraced by a luxuriant garden of local plants stretching through a typical maquis for a total area of over 8.500 sqm. 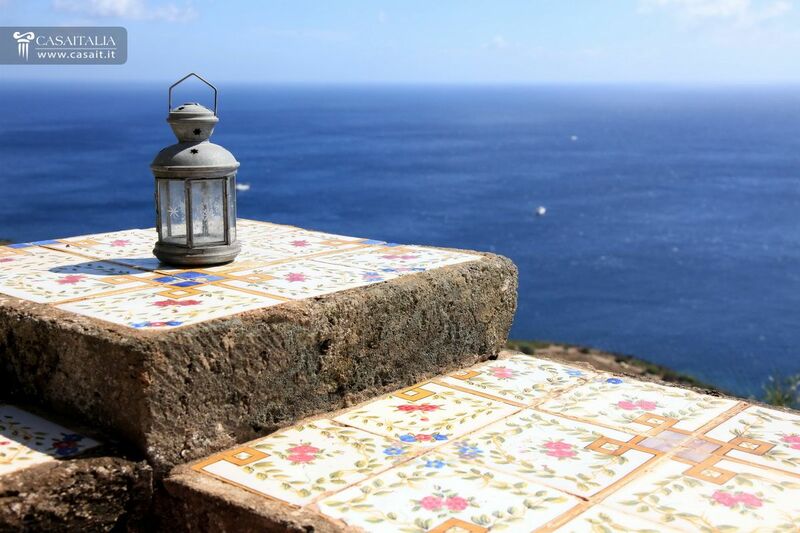 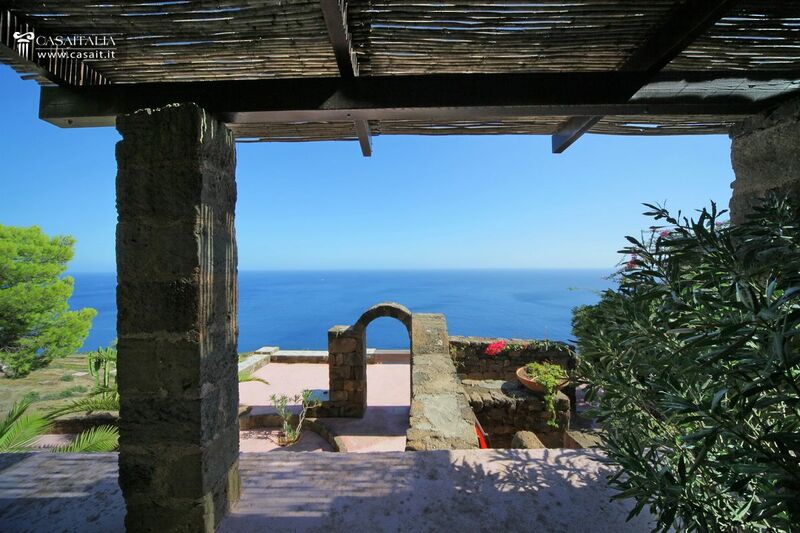 Pantelleria ia a paradise to be explored, quickly reachable and at the same time far away from all the rest: an ideal place for those who love living in a peaceful location, contemplating the sea listening to the noise of the waves sea against the rocks. 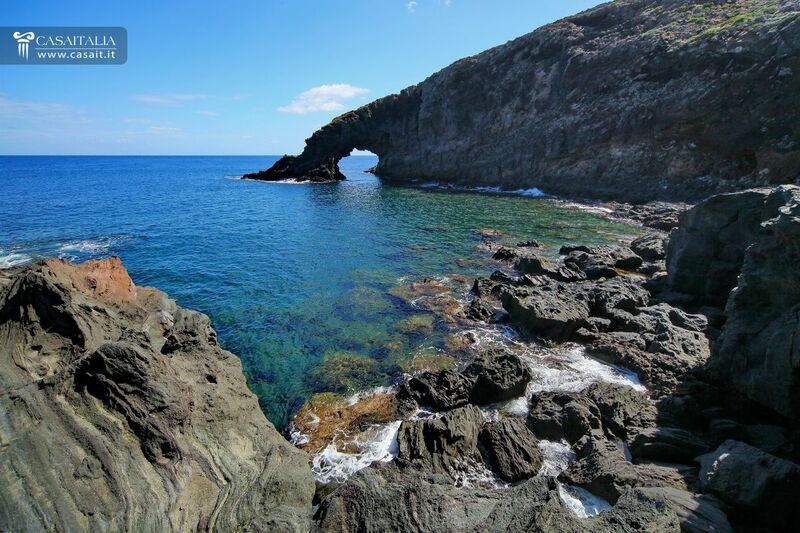 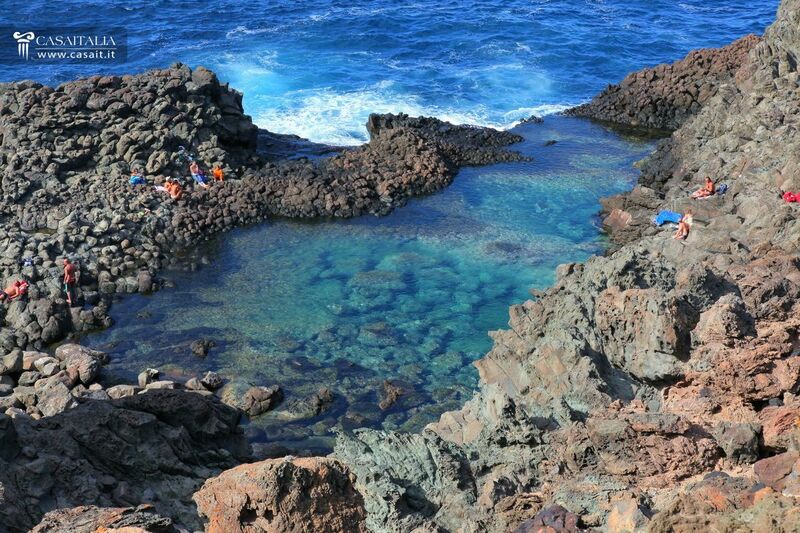 Pantelleria is a livable island, in a few minutes drive it is possible to reach wonderful bays, such as Balata dei Turchi or "Laghetto delle ondine”, a natural swimming-pool of turquoise water a few metres above the sea level. 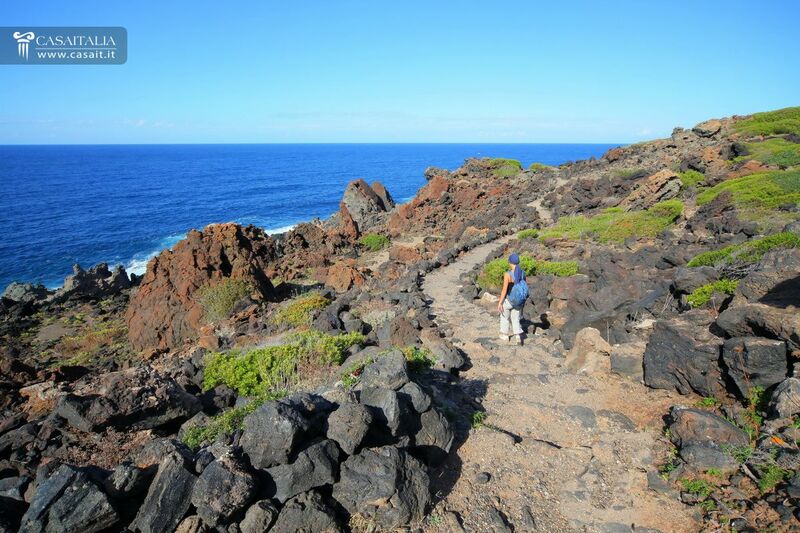 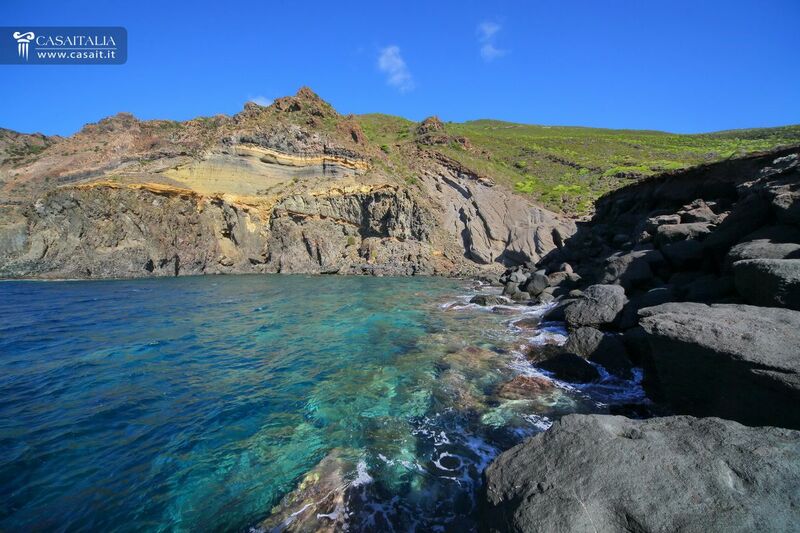 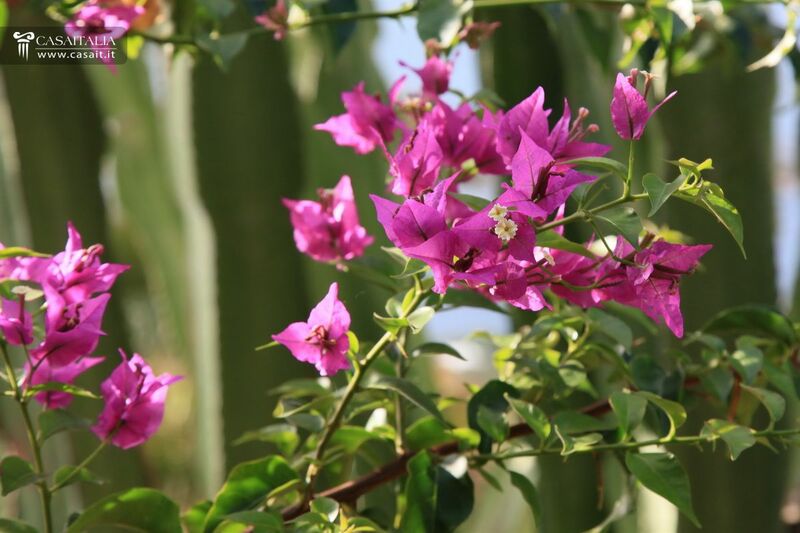 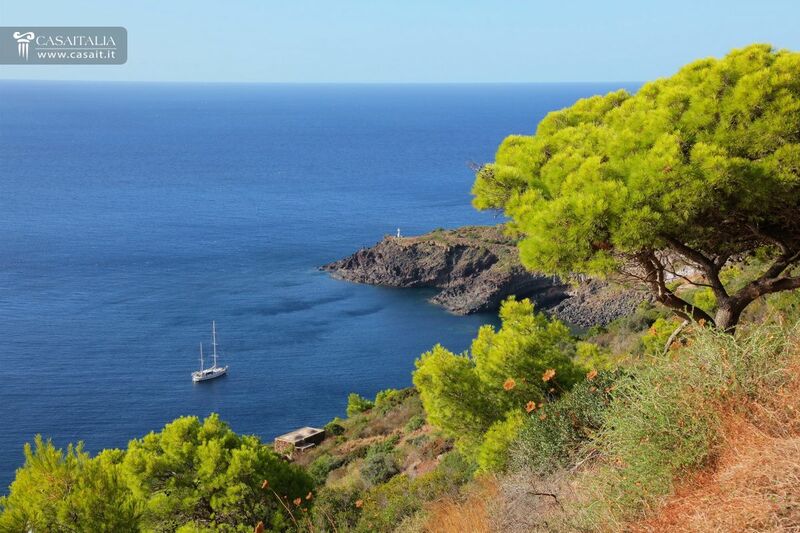 The coast offers walking and trekking paths through a breathtaking panorama of natural gardens. 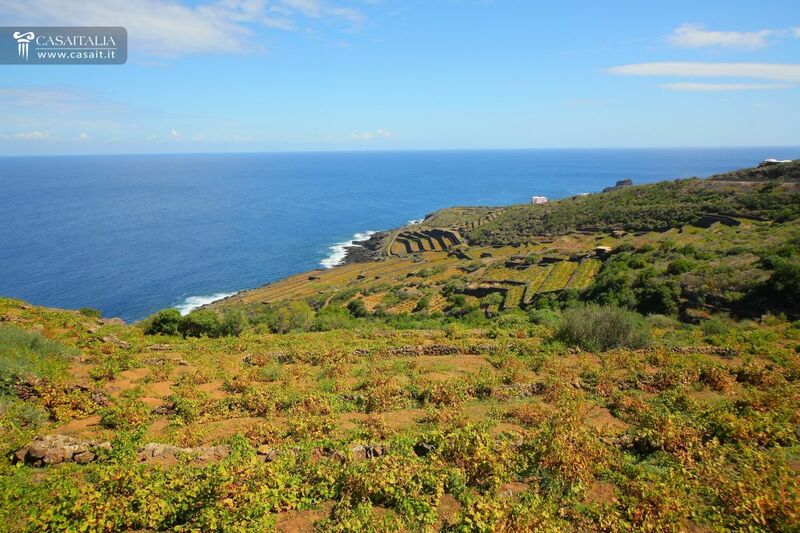 The dry stone walls shelter lines of vineyards producing the unique wine Passito di Pantelleria with its sweet and fruity taste. 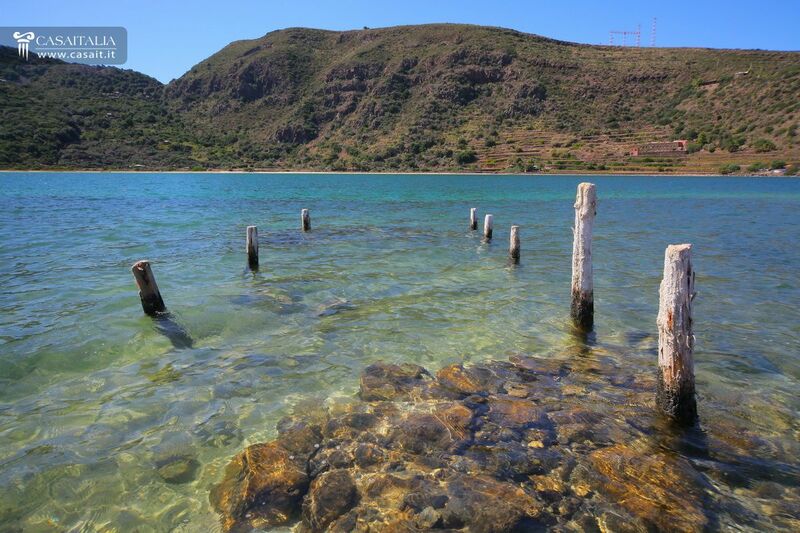 Halfway between the coast and the "Montagna Grande", there is the lake "Specchio di Venere”, a basin within an ancient volcanic caldera with hot springs (40° C) and natural mud baths used for healing treatments. 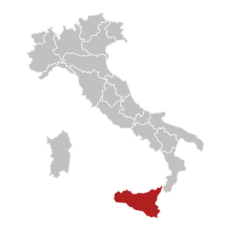 Characteristics: It is the largest island in the Mediterranean and thanks to its location has been the subject of settlement by many ancient civilizations (Greeks, Romans, Normans), that have enriched its territory and its historical centers with important artistic and archaeological sites. From the naturalistic point of view, beside the wonderful coasts and the worldwide famous Islands, the territory is also characterized by the presence of the volcano Etna, still active and with spectacular eruptions, and numerous other volcanoes, active or not. 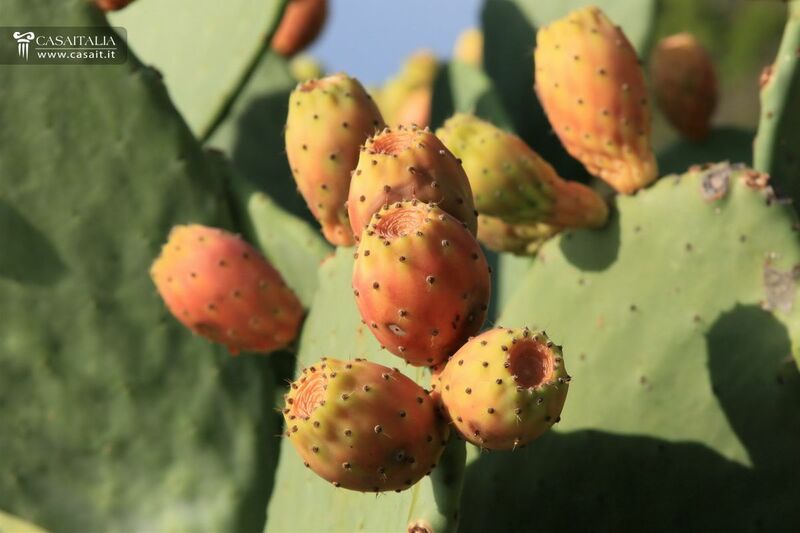 The region is also a paradise for lovers of gastronomy; they will find a cuisine influenced by different cultures that have inhabited and a wide variety of wines and typical products. 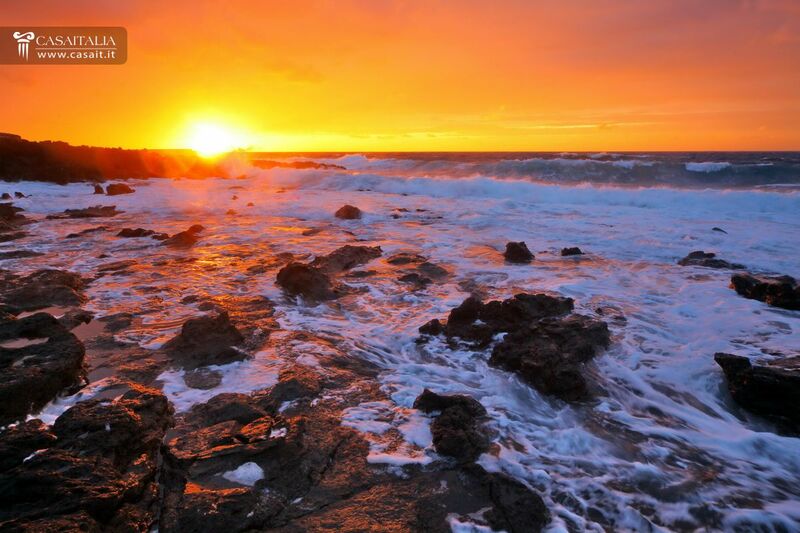 The climate is typically Mediterranean, with hot summers, mitigated by the sea breezes, and mild winters. On the mountain reliefs the climate is mountainous, cooler and with the possibility of snowfalls even in the middle seasons. 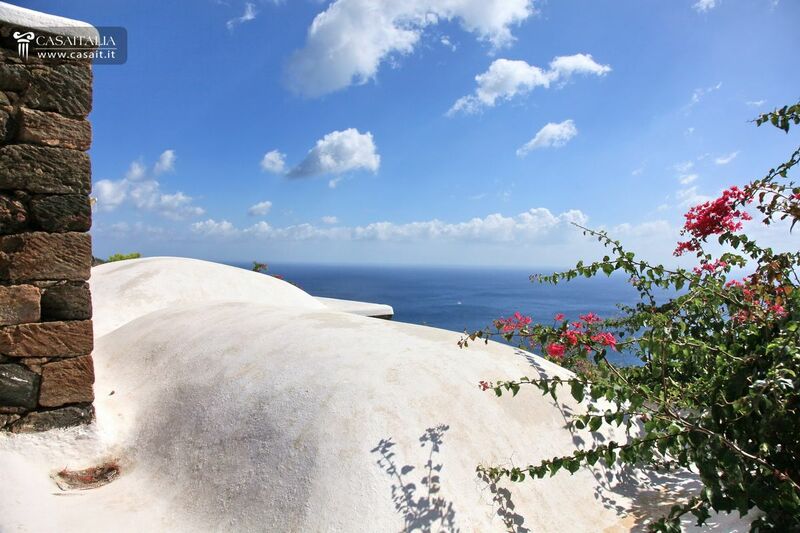 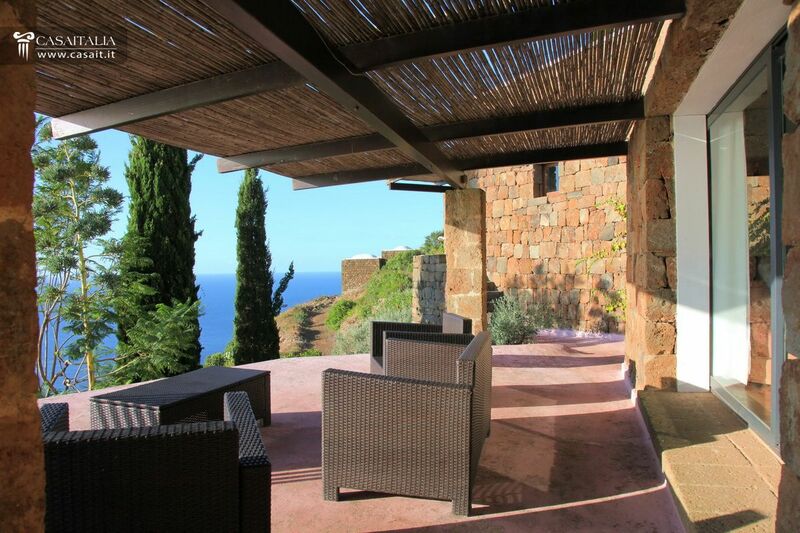 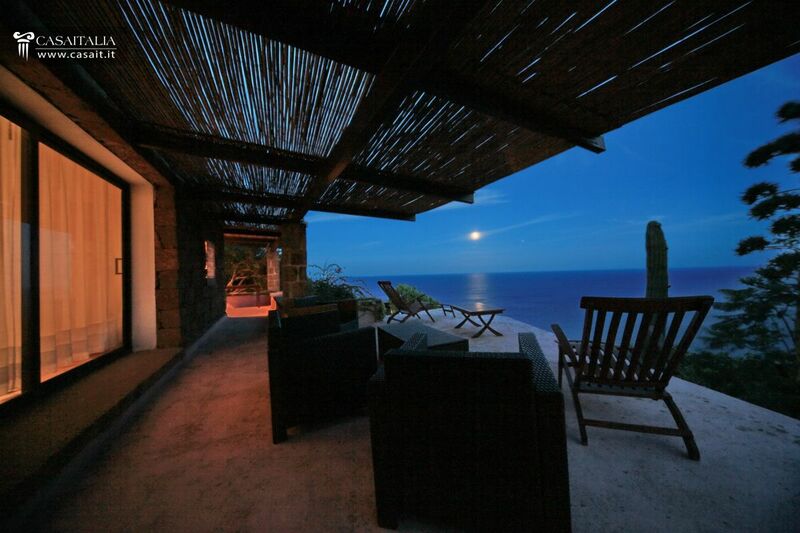 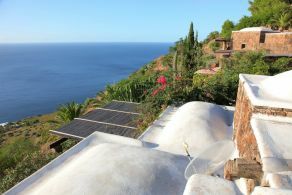 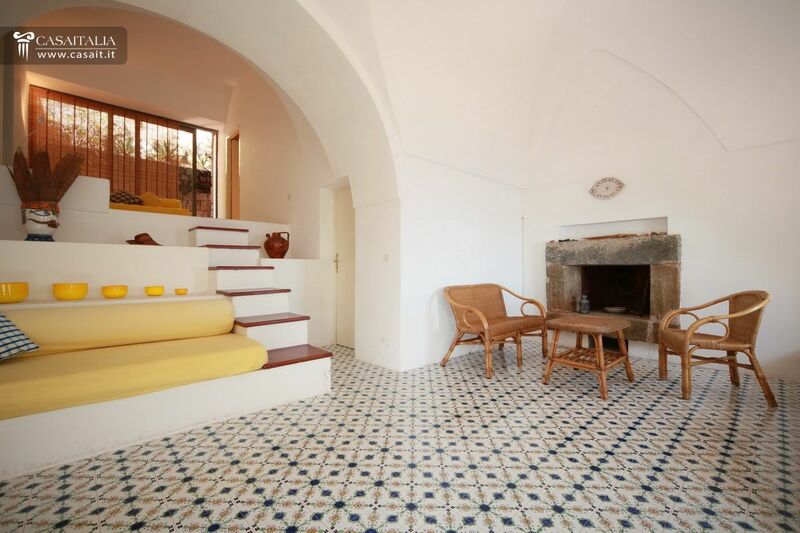 Property offer: luxury villas with sea views in Pantelleria, Favignana, Cefalu, Taormina and the islands of Lipari, Salina, Panarea and Vulcano, representative residences in the historic centers of Palermo, Catania, Agrigento, Messina.